Greetings in the name of Jesus! I am so excited about what God is doing at Gateway Nazarene. In so many areas we are experiencing a movement of God's Spirit. Here are some highlights about what God is doing in the life of our church. Hispanic Ministry - Our Hispanic ministry is currently averaging 27 people per week. Pastor Eliel is doing an awesome job of leading our Hispanic ministry. 520 Service - Pastor Wally continues to lead our Saturday night 520 service. This service is averaging around 50-60 people per week. 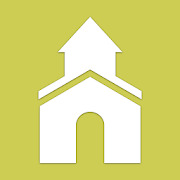 Children's Pastor - We are happy to announce that we have officially hired a new children's pastor at Gateway Nazarene. This person will begin their duties on July 1st. Please be praying for this person as they begin. Haiti - We have raised around $15,000 for our new partnership with the orphanage in Haiti. New Coffee House - This Sunday between our 8:30am and our 11am service we are having a ribbon cutting for the newly renovated coffee house at Gateway. Much work has gone into this process. New Believers Class - We are now hosting a new believers class on Sunday morning for people interested in growing deeper in their relationship with Christ. Please pray for this new class. New Flyer / Welcome Center - We now have a newly renovated foyer and welcome center to welcome new guests. 29Palms - Our partnership with 29Palms continues to go great. Steve Webb is doing a wonderful job leading this effort. This is just a small list of some of what is going at Gateway. There is much more than this list but these are the things that immediately come to mind. As we move forward I want to challenge you with a few things. This is to keep us united and focused on Christ. These things also help with spiritual growth! Every leader in the church is committed to these things and I want to encourage you to be committed to them as well. Lastly I want to encourage you with something. If you ever have issue with anything or if you are struggling with anything, please do not hesitate to let me know. My email is kmcdonald@gatewaynaz.org. I would love to help you in any way that I can. I heard a story about someone once leaving our church because they were upset with something. This person never told me or anyone about being upset. So, they left the church. However, when I realized that they were gone, I scheduled a meeting with them. This one hour meeting cleared the air and now they are reengaged in the life of the church. I tell you this to be up front. If you are ever upset, please just tell me and we can try to schedule a meeting to discuss it. I am excited about future of Gateway Nazarene! God bless you! Have a wonderful day!